Other names: Jambiri, jambheri, jhamirdi, jatti khatti, khatti. 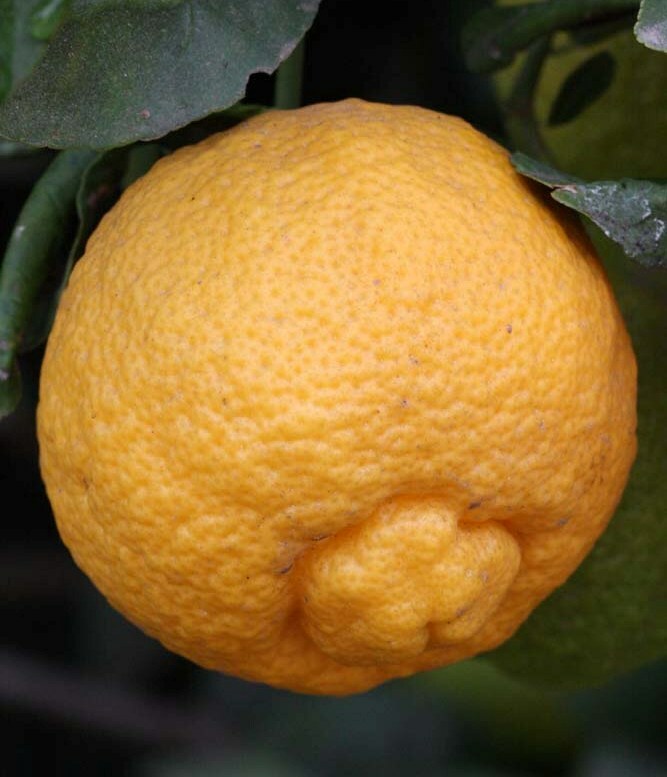 Rough lemon is believed to have originated in India only. It is found through out India upto an altitude of 1000 metres. Tree is medium to large, spreading, and relatively less spiny. 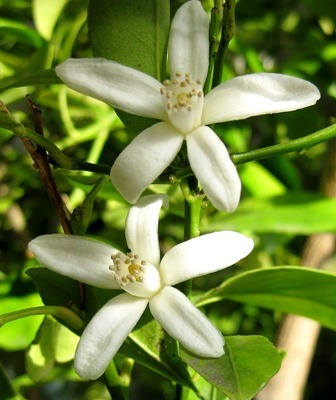 Leaves are small, light green, round faintly serrated; flowers small, faintly coloured; fruits deep yellow, with a special apical papilla and strongly developed apical cavity surrounding papilla, rough and irregular, surface adherence of rind fairly loose, core open at maturity, flesh yellow, seeds numerous. 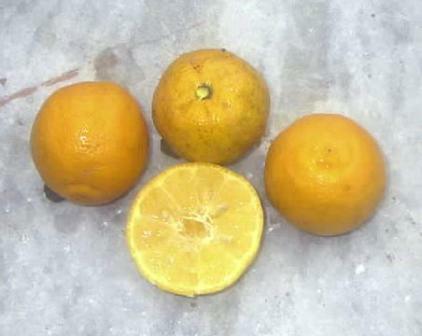 lemon fruits, however, does not match is sharply acidic and does not match Kaghzi lime juice in flavour. 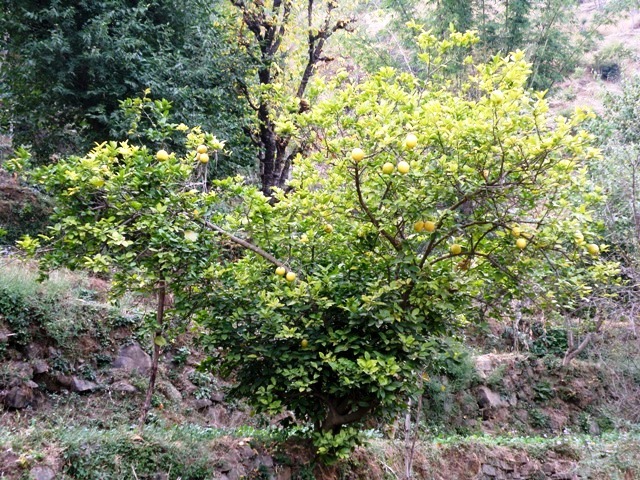 Ayurvedic physicians discourage people to use fresh or raw rough lemon juice. They only approve juice concentrated by heating. 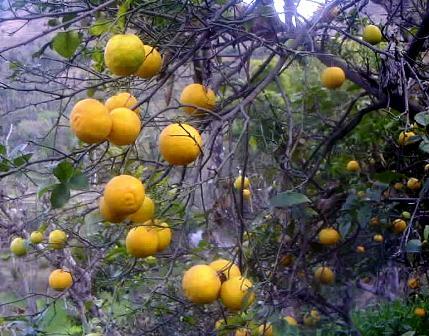 Rough lemon is one of major rootstocks used for citrus fruits all over the world. It has good adaptability for light sandy soils and is also fairly tolerant to salts. As a rootstock, however, it is sensitive to cold.